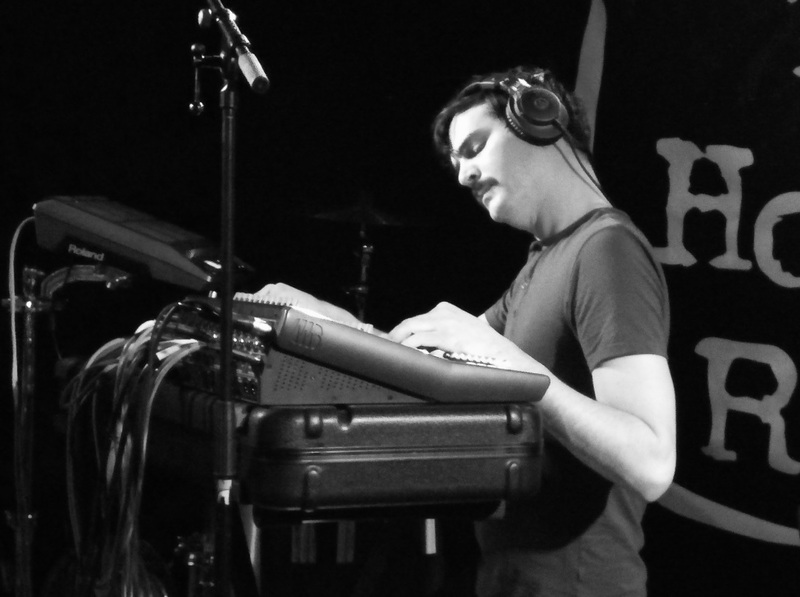 It’s been quite a while since we have seen a performance by Bayonne, who is namely Roger Sellers who hails from Austin Texas. 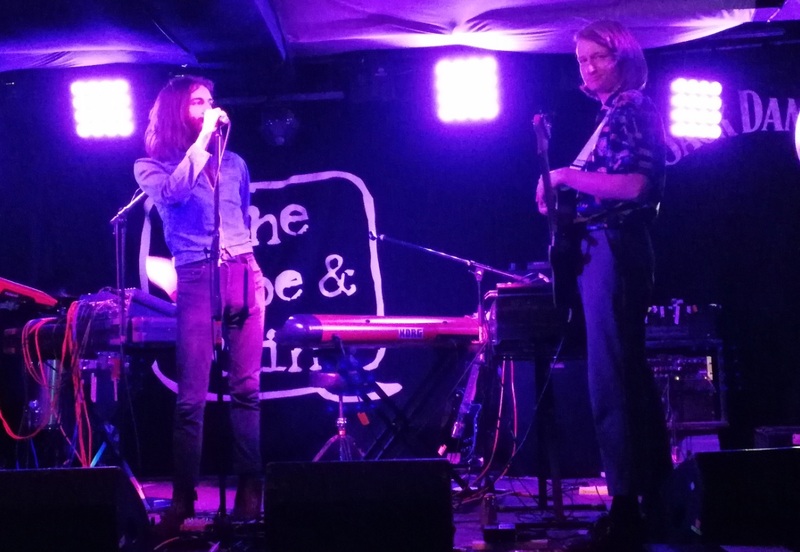 Last time he graced us with his presence was a brief thirty minute set at the impressive Brighton Unitarian Church in New Road in May 2016 as part of the terrific Great Escape new music festival. I enjoyed his set so much that I purchased his debut ‘Primitives’ album shortly afterwards. 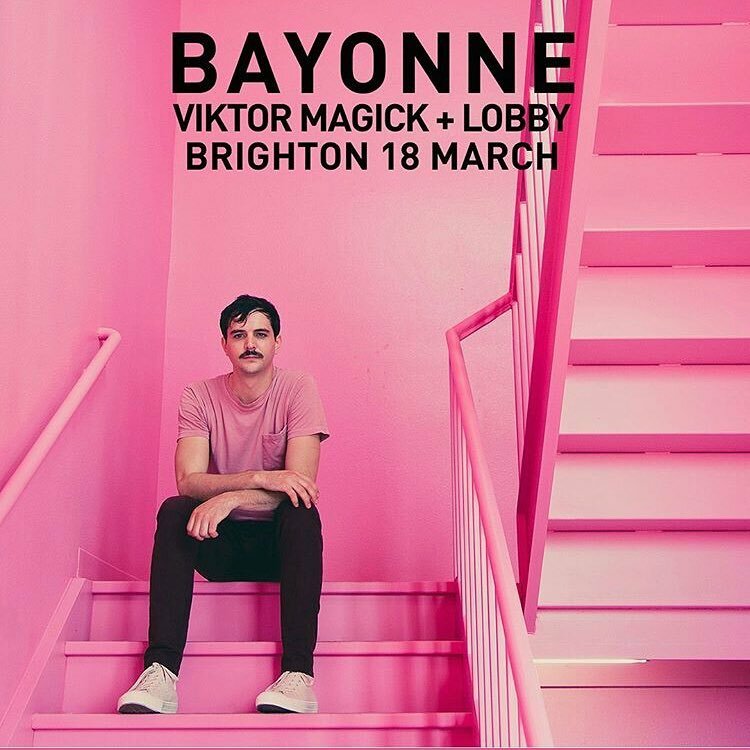 Tonight, Bayonne was in Brighton as part of a whistle-stop 7 date European tour that was calling in at Leeds, Brighton, Manchester, London, Bristol, Paris and Amsterdam. So we were rather fortunate in getting him back to the city. We can thank the Love Thy Neighbour promoter for that. 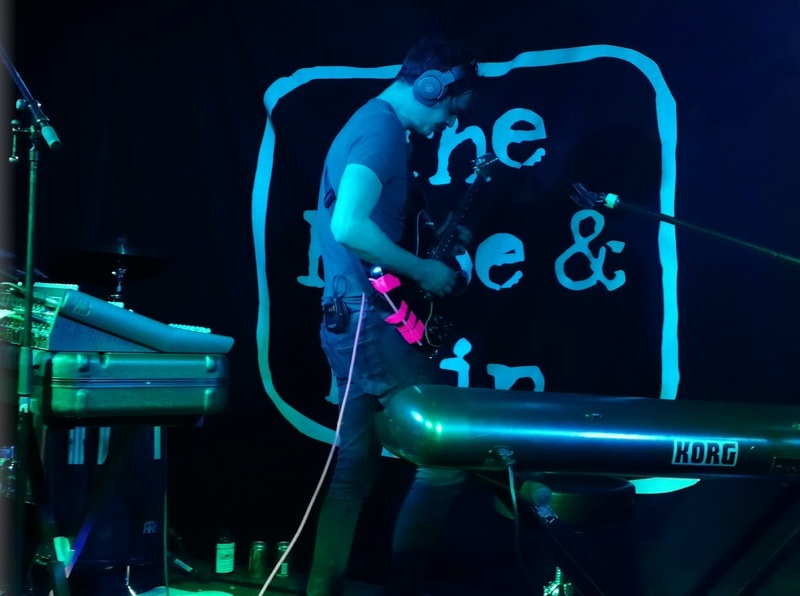 He regularly brings in acts from right across the world to our city, and we have recently enjoyed the talents of The Beths from New Zealand and Say Sue Me from South Korea to name just two. 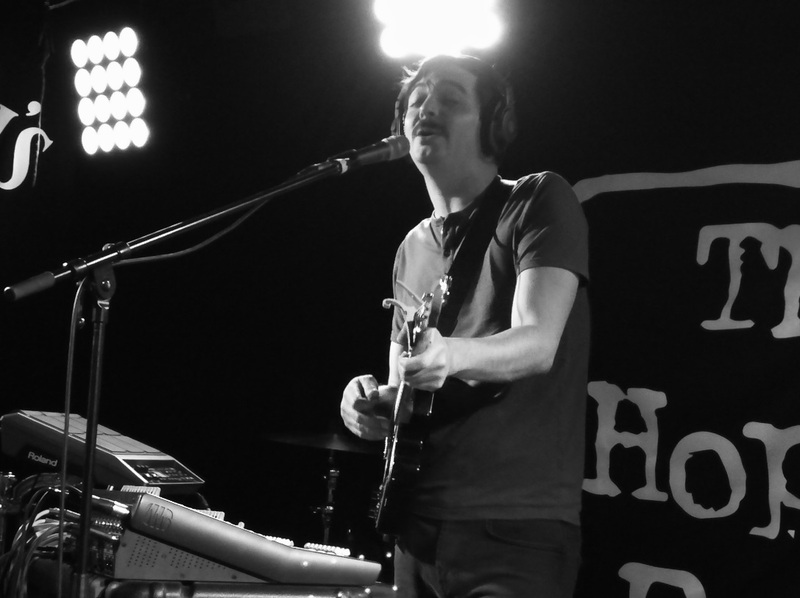 The Hope & Ruin stage was awash with technical wizardry for Bayonne’s mesmeric performance. Who needs a whole band when Roger can build the soundscapes all by himself. This is a guy who simply feels every note, he absorbs himself into creating depths of wonderful electronic sounds as though he was in his bedroom and creating his own thing, only to look up and us lucky punters are sharing his aural journey. 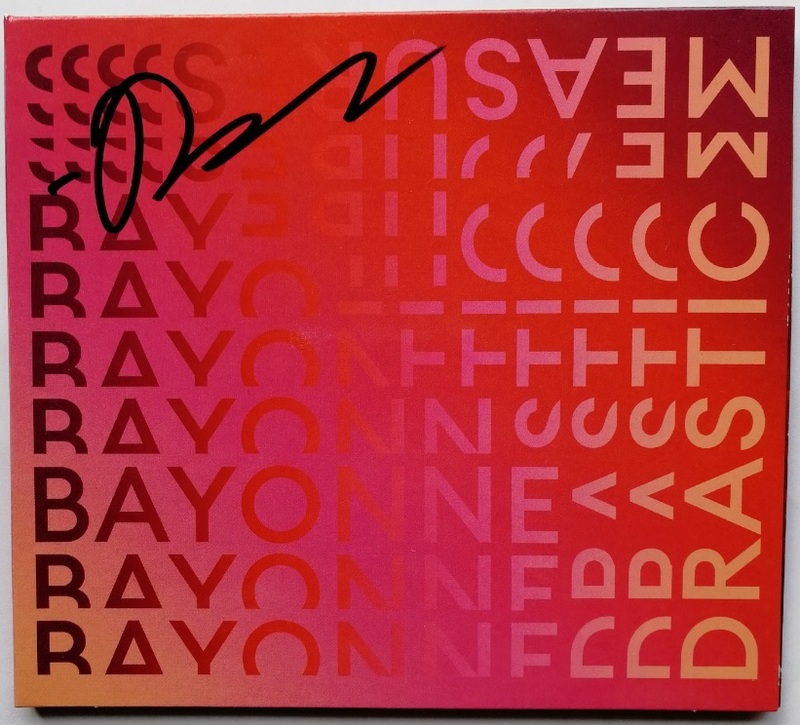 Bayonne is here to promote his brand new platter entitled ‘Drastic Measures’ and indeed I took drastic measures and secured the funds to also purchase his latest ten track offering, which he kindly signed for me. The album is a definite continuation from where he left off and is orchestral in texture, and unfolds in countless layers with kaleidoscopic tones. There is clearly a great intensity of detail in his work which deepens that sonic complexity by weaving in elegantly warped samples of the field recordings he’s gathered for over a decade. But in its powerful melodies and pristine arrangements, ‘Drastic Measures’ ultimately bears a pure pop lucidity even in its most grandiose moments. 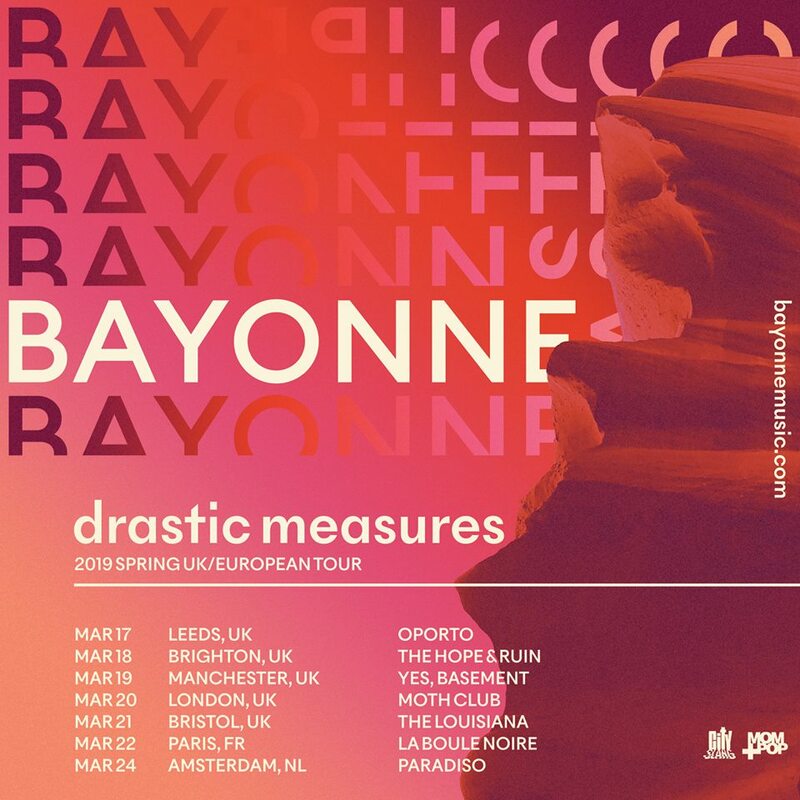 Driven by the dynamic percussion and luminous piano work signature to Bayonne’s sound, ‘Drastic Measures’ takes its title from a track that embodies the album’s central theme: the instability inherent in an artist’s life, and the often-futile attempt to attain balance. 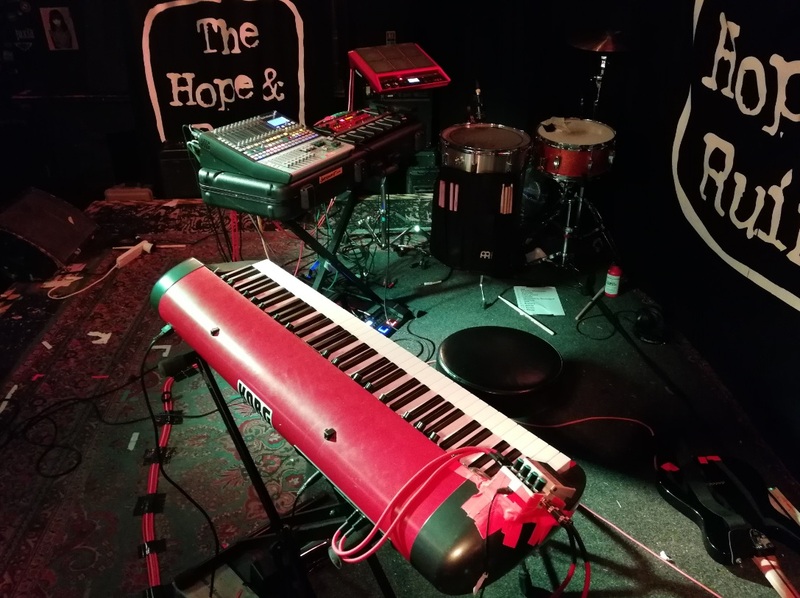 Well he certainly achieved a perfect balance this evening with his work, often culminating in a crescendo of rhythmic drumming accompaniment to his layers of synth patterns. With his impeccable timing he continually flitted between keyboards, drums, drum pads, guitar and mic. It was mesmerising standing at the front watching him build each electronic wizardry composition as though ensconced in a trance like state right in front of my eyes. 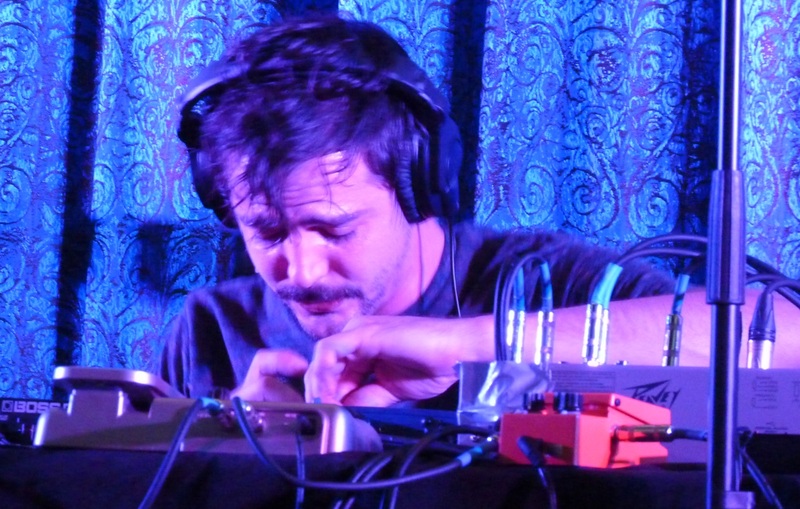 Bayonne is not a DJ, he is a craftsmen who offers up aural pleasures for those akin to modern dance music right through to the likes of Tangerine Dream and beyond. 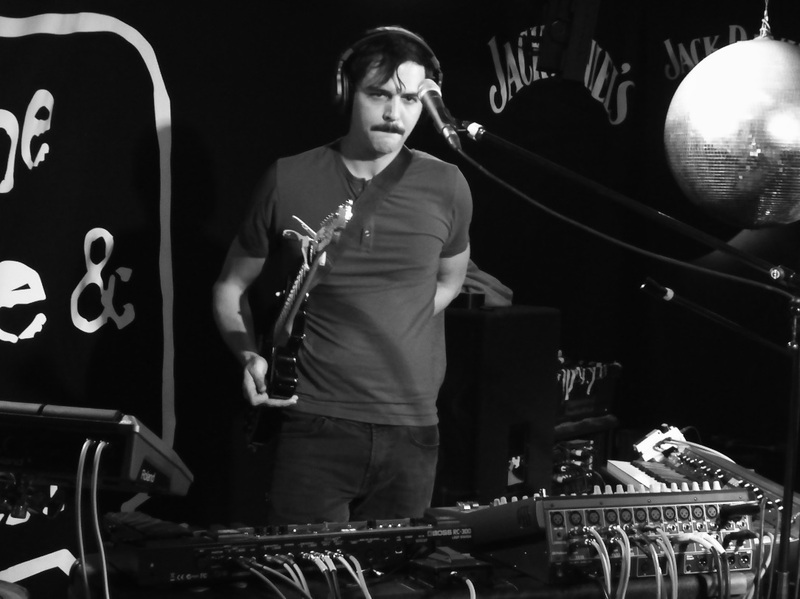 It was a joy to watch and when Bayonne returns to these shores, I would thoroughly recommend that you check him out! We were to witness a dozen compositions with seven of them appearing on the new album. 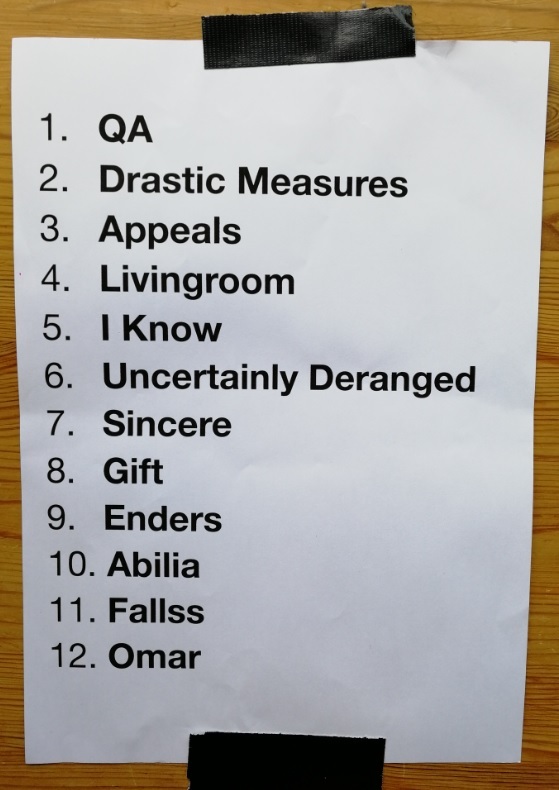 The setlist is below and as a special treat you can click on each track title and you will be able to listen to each wonderful composition. 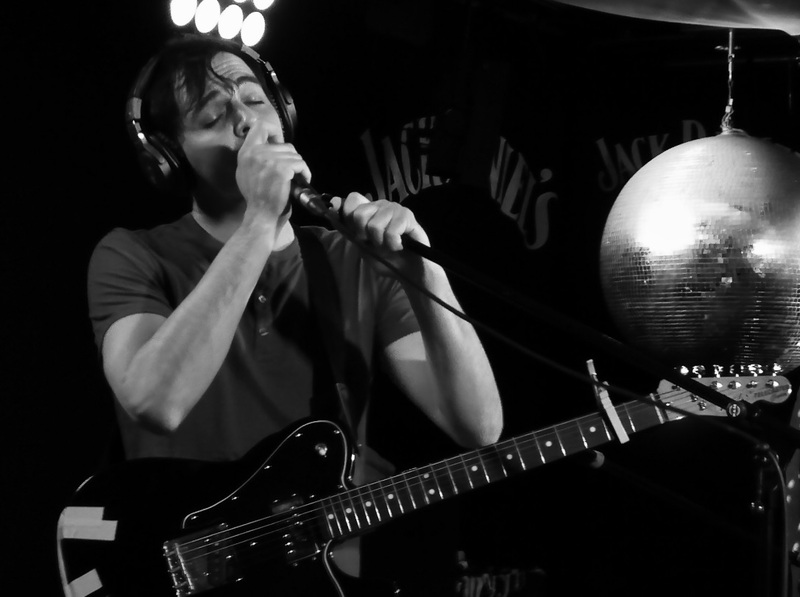 More info on Bayonne HERE and listen to and purchase his music HERE. First up tonight was Viktor Magick who it appears has settled in Brighton from the Big Smoke and very sensibly so I say. Viktor has a unique sound that that is arguably off kilter from the mainstream. He has absorbed the fringes of modern society, like being inspired by ‘out there’ filmmaker David Lynch, he of ‘Elephant Man’, ‘Dune’ and ‘Eraserhead’ fame and amalgamated this with inspiration from many musical sources. 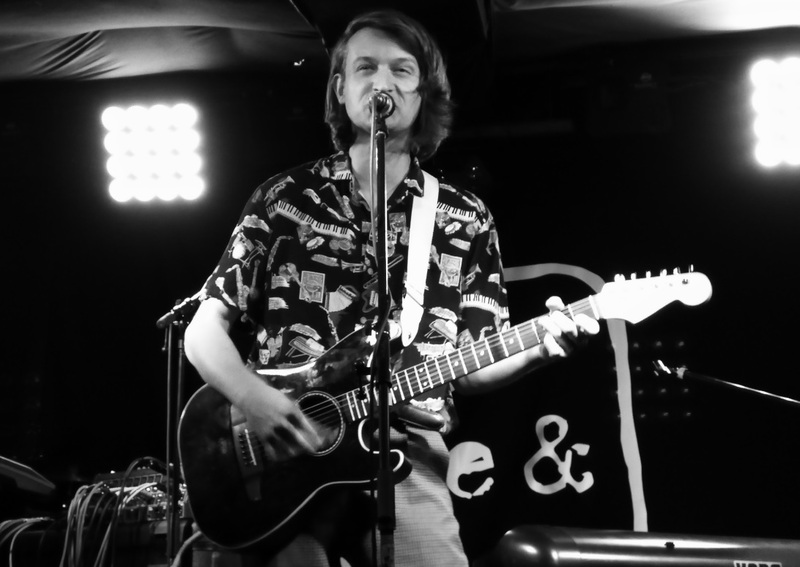 Tonight, Viktor successfully threw his powerful voice out into the crowd, sometimes sounding like Billy MacKenzie from The Associates or Russell Mael from Sparks and then at other times when less than high-pitched, there were slight elements of Elvis Costello and Morrissey. There was ample use of reverb vocally and on his surf style guitar playing, which was frequently accompanied by upbeat drum programming. A nice touch was that he had brought along some cassettes and the punters were invited to pay whatever they want for them. Clearly this is a person that is into the love of the music and not interested in fleecing everybody. It will be interesting to keep an eye on how our adopted son fares during the course of 2019. ‘Monochrome Rainbow’, ‘You Look Like The Baby From Eraserhead’, ‘Baby’, ‘Blue Rose’, ‘Your Love Lifts Me Up Into Outer Space’. More info on Viktor Magick HERE. The brightly coloured interior of one of the new Hope & Ruin toilets – more interesting than just plain walls!